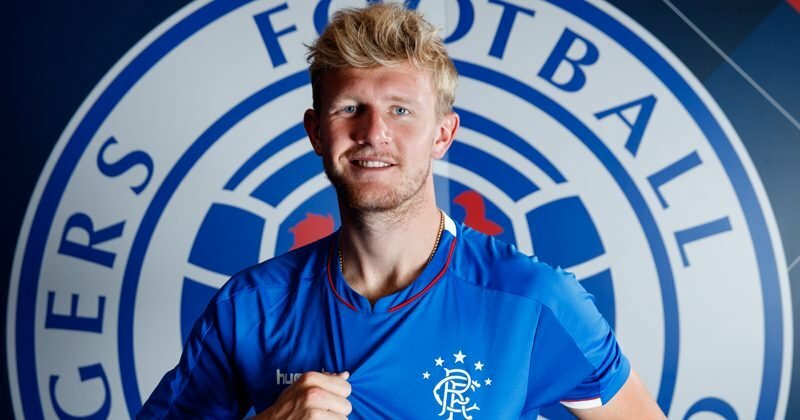 Joe Worrall has admitted it would be “fantastic” if Rangers “want to buy me for £30m this summer”. The Nottingham Forest defender was sent to Ibrox on loan last summer and has gone on to make 21 appearances in all competitions (15 in the Scottish Premiership, four in the Europa League, two in the Scottish League Cup). In his last eight league outings, Worrall has been on the winning side five times, has drawn two games and has kept four clean sheets. Rangers currently sit second in the Scottish Premiership with 51 points from 25 games, six points adrift of leaders Celtic. No side have lost fewer games than Steven Gerrard’s side (4) and only Celtic have conceded fewer goals (14). The 22-year-old has an uncertain future at Forest. Rangers are rumoured to be keen on turning his loan deal permanent over the summer, but Martin O’Neill tried to bring Worrall back to the City Ground in January. The centre-back says he’s open to all possibilities when the season comes to a close, telling the Scottish Sun (h/t Nottinghamshire Live): “Being on loan, it’s hard to say whether I want to stay. “If they want to buy me for £30m in the summer, fantastic! If not, I’ll be happy to go back to Forest. I believe in my ability. I believe I should be playing at Forest but that’s not going to be happening this season. So for it to come under Steven Gerrard at Rangers is incredible and I’m thankful for the opportunity. “I’m not thinking about the future. I’m loving Rangers, it’s a fantastic football club and has a massive place in my heart. I wouldn’t have come here if I wasn’t going to play”. There could be a place for Worrall back at Forest next season. The Reds signed Yohan Benalouane and Alexander Milosevic on an 18-month deals, but the likes of Michael Dawson, Michael Hefele could be moved on over the summer. Loan signing Molla Wague will return to his parent clubs at the end of the season so Forest will have a void to fill at centre-back.